Hilary has overseen the selection and purchasing of a large number of corporate and residential art collections. Be it starting from scratch or using a clients’ existing pieces, she recommends new works to complement the whole group of pieces or create something new and spectacular. Hilary has worked with many artists and galleries for clients with varying budgets. Anything is possible with a little know-how and Hilary has the knack and keen eye. 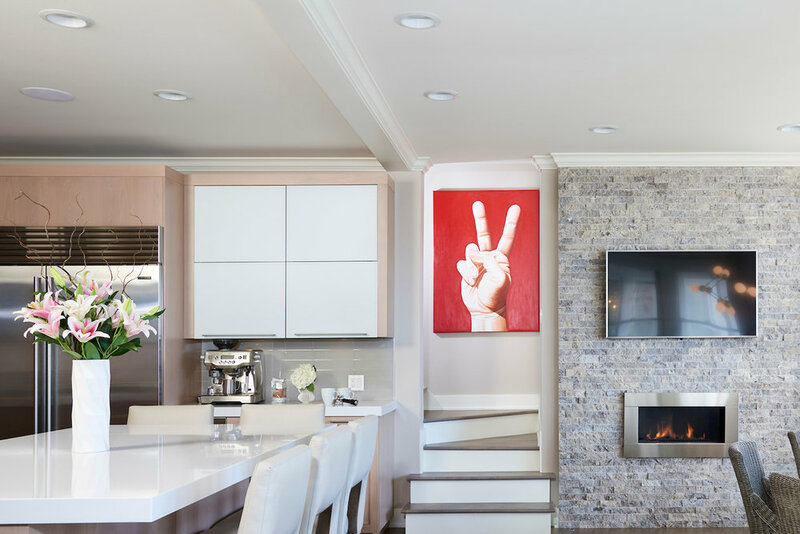 Incorporating a minimal piece of sculpture, a wall full of paintings or just a vase of beautiful flowers adds heart, life and history – the final touch in achieving an environment with character and depth. Let Hilary guide you in your art, antiques and accessories endeavors. Art by Matthew Metzger, ‘Performance Corridor’ 2010, Tony Wight Gallery. Art by Brenda Barnum, ‘Marshmallow Blonde’ 2010. Snakeskin-framed mirror by Edelman Leather. Art by Roger Brown, ‘See no evil’ 1991. 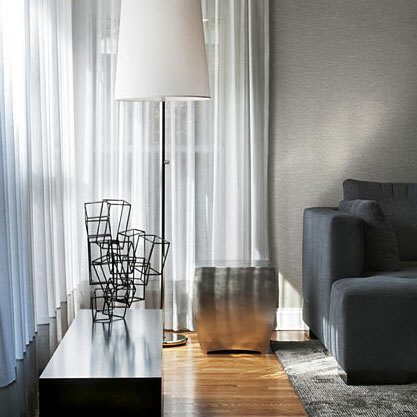 Umbrella stand Lucite sculpture from the 1960s and a Lucite lamp from the 1940s create an interesting entry foyer. 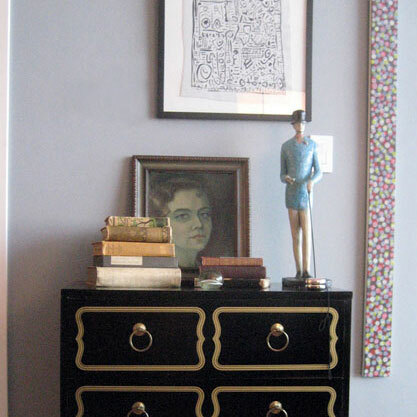 Create small vignettes with a mix of antique and modern items. A sculpture of a gymnast circa 1940. A large oil painting on wood in a romantic style similar to Maxfield Parrish circa 1920.